CHICAGO (WLS) -- State Senator Mattie Hunter is mourning the loss of her two nephews after a violent weekend in Chicago. They were killed in a shooting and crash on the South Side. John L. Hunter, 25, and Willie Hunter, 31, were in town for the July 4th holiday. Originally from Chicago, the brothers had moved to Jefferson City, Missouri, within the last two years. State Sen. Hunter said far too many have lost family members to gun violence. "We are heartbroken and saddened by this tragic and senseless loss of life. My family is no different than any other family, and far too many of us have lost family members to the violence that continues to plague our communities. I would ask everyone to join me in praying for an end to this violence and the gun epidemic that is killing our families and friends. It has to end," Hunter said. John and Willie Hunter were sitting in a silver SUV in the 8800-block of South Bishop Street in the city's Auburn Gresham neighborhood just before 6:15 a.m. Sunday, when police said someone walked up and opened fire. 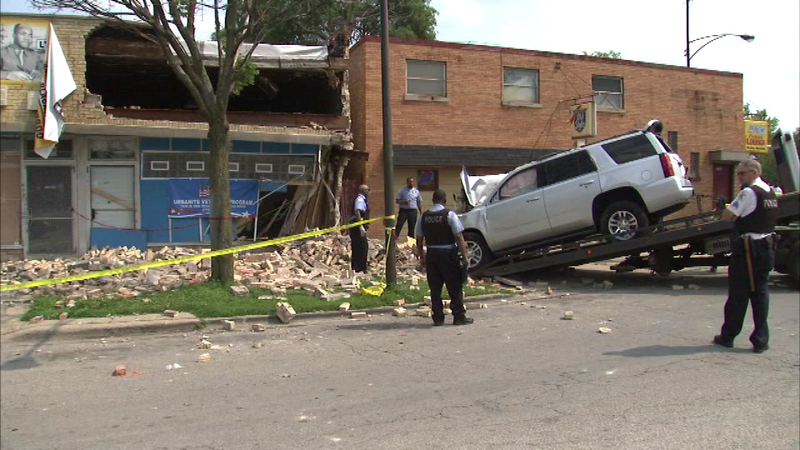 They tried driving away, but crashed into a building a few blocks away, near West 89th Street and South Ashland Avenue. John Hunter was shot multiple times. He was taken to Advocate Christ Medical Center, where he was pronounced dead at 7 a.m. Sunday, the Cook County medical examiner said. Willie Hunter was found unresponsive in the SUV. He was pronounced dead at the scene at 9:25 a.m. Sunday. The medical examiner did not say whether he died of gunshot wounds or from injuries sustained in the crash. Area South detectives are investigating the shooting. No one is in custody.